City life and busy schedule leave you with very little time for yourself. These natural skin care products from Arrom will de-stress your skin and keep them healthy on a-go. 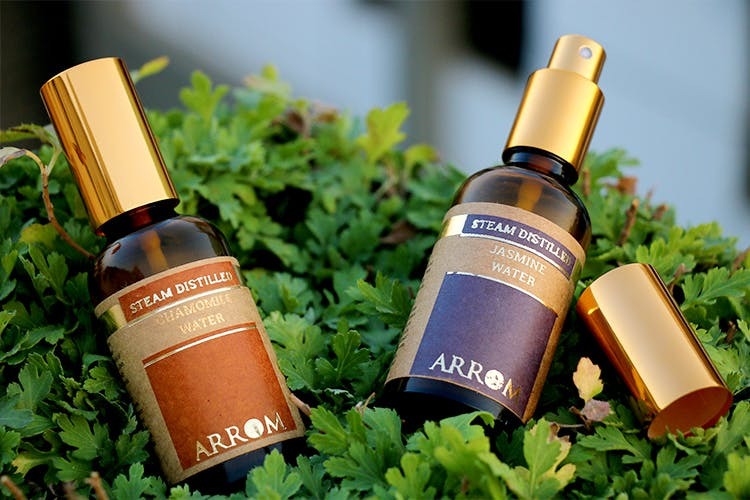 Arrom showcases a range of skincare products that are made up of natural ingredients and barely show any side-effects. We absolutely adore their Aloe vera gel that’s pretty much a staple ingredient in most of the skincare treatments and is easy to make. It’s easy to blend in with turmeric or sandalwood leaving your skin smooth & healthy. If you are of those busy bees, then their face mist is what you need. Extracted from the Jasmine & Chamomile flower, the floral water works perfectly as toners, cleansers and hydrating your skin. The soothing aroma also helps you calm down and feel instantly fresh! They have organic essential oils in grapefruit & cinnamon that are not only magical for your skin but can be used for household purposes. Using them in your daily skin routines will improve the texture of your skin. Can also be used with steam and aroma helps to de-stress and cure headaches and other ailments. Your skincare routine need not be long and elongated. A couple of products are enough to protect & repair your skin from the damage. You can get these products for a steal at LBB specials.